The increasing complexity of product shapes, the diversity of materials used and the manufacturing deadlines are elements influencing the quality control. 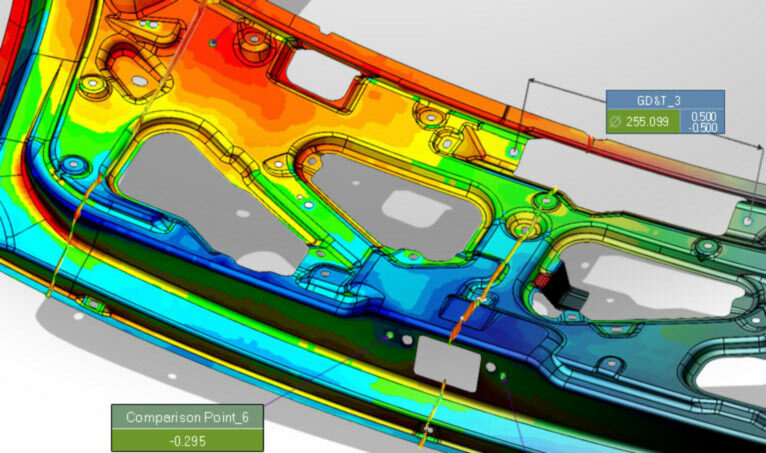 Therefore, the measuring tools need to be optimized and adapted to the operator’s workflow. To achieve the best results Kreon has been working with the leaders of metrology software in order to develop solutions combining non-contact (laser scanners) and contact (touch probes) measurement technologies. We meet the needs and the expectations of demanding customers regarding quality control, 3D measurement and deviation viewing. 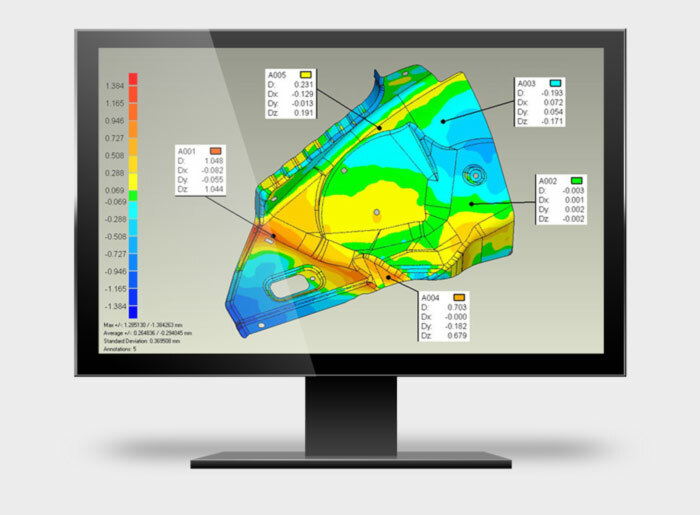 Now, you can easily compare your industrial part with its CAD reference through color mapping as well as enhanced real-time inspection of geometric concepts. The combination of density of information, speed of data acquisition and best-fit algorithms creates a time-saver. In addition, the program for automatic control is much easier and faster in use than its equivalent in traditional probing. 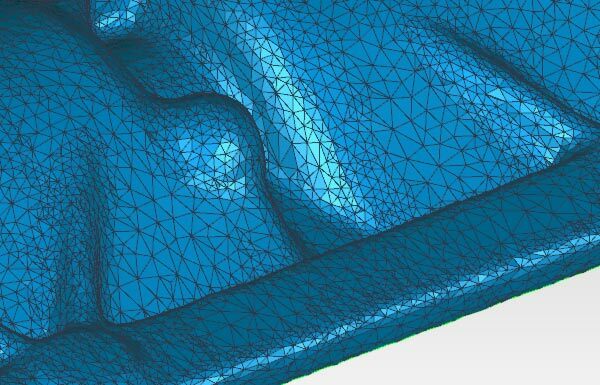 In practice, non-contact methods are simpler to use due to a lack of fixturing, which adds flexibility to existing machines, and flexibility to the process. For example, using a Kreon laser scanner instead of a standard probe saves about 50% processing time when controlling a metal stamping part. 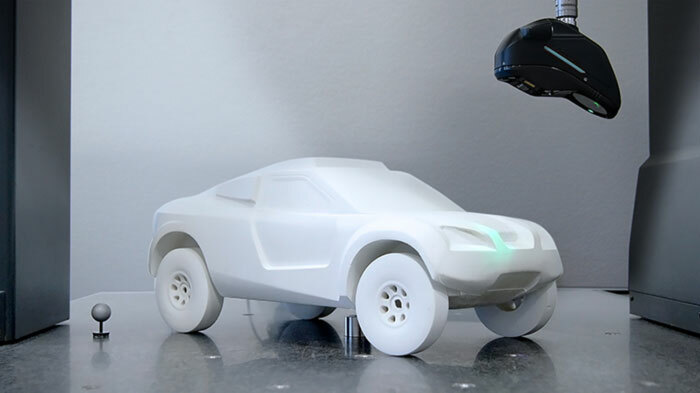 Kreon 3D laser scanners are capable of generating digital data from any physical object. 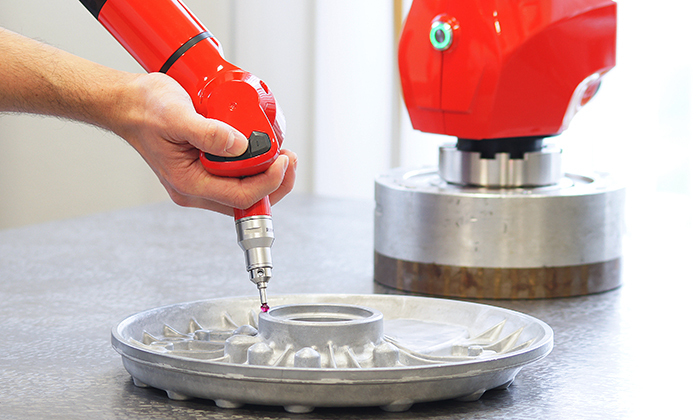 High-quality 3D scanning (Solano and Zephyr II range of scanners connected to CMMs or to Kreon measuring arms) virtually reproduces all the details of any object. Polygonia software helps the operators employ well-known reverse engineering software by generating any surface from the point cloud with the help of Kreon scanners. Prototyping machines are now capable of manufacturing any numerical 3D model onto a physical object within the shortest possible time. Consequently, it is easy to prototype or to physically change an object and then to replicate it. Kreon laser scanners perfectly fit in this process as each object or model can be quickly and easily scanned in 3D. The obtained point cloud can then be interconnected (polygonal networking), changed and “printed” in 3D.